Your menu: Lead, Activate, Enhance. Before, during and/or after the event. Lead your audience through your event BEFORE and/or during the event with VoxR Compass. 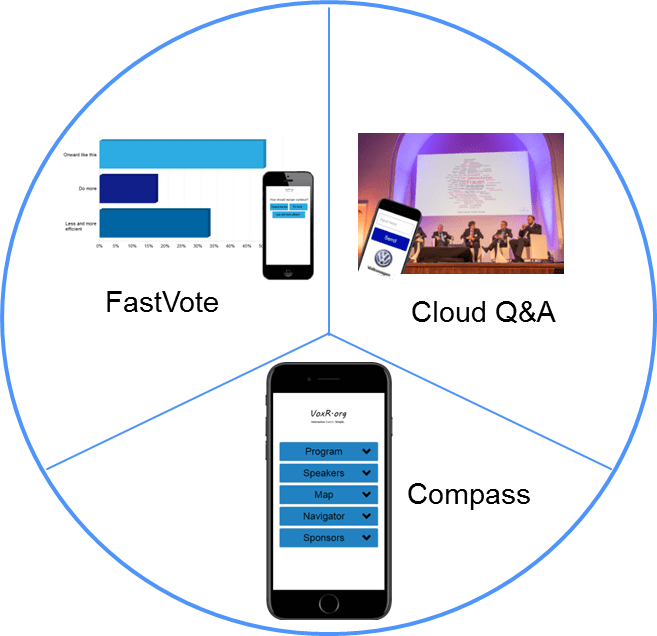 Activate your audience in the event with CloudQ&A and/or FastVote. Enhance the experience also AFTER the event, e.g. with graphics of results and/or feedback questions with CloudQ&A and/or VoxR Compass for the way home. Here is a selection of possible activations during the event. VoxR Pricing is valid as day packages. 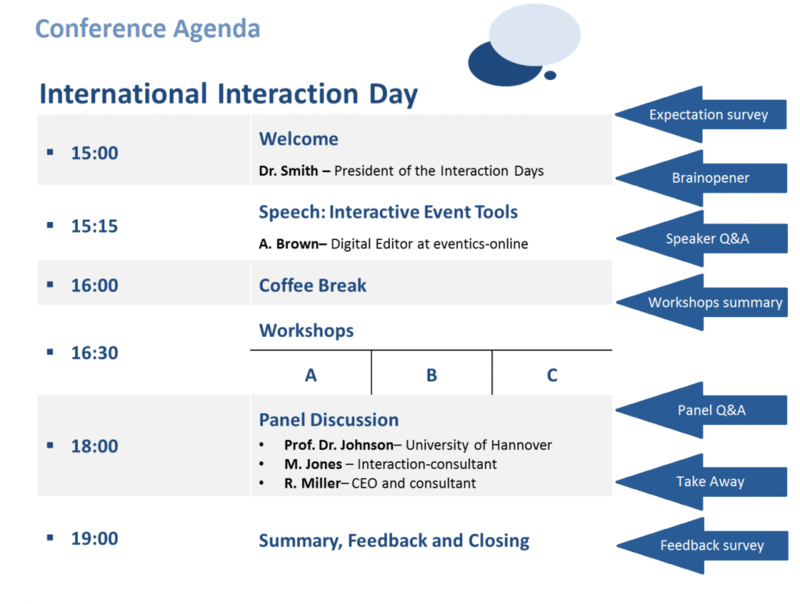 So you can make your event as interactive as possible and there is no limit to the amount of interactions! Click here for free interaction consulting!